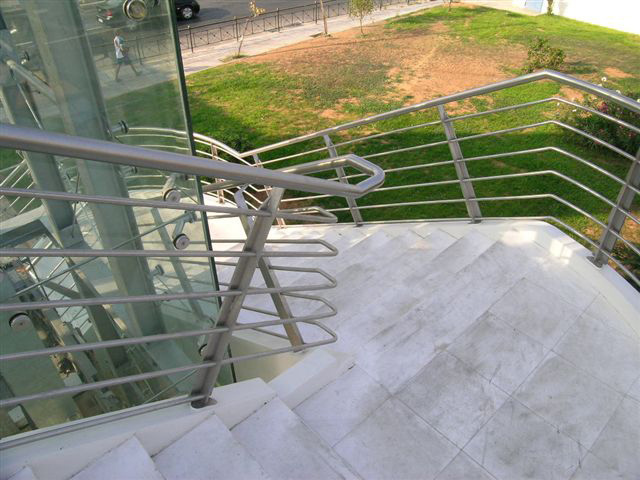 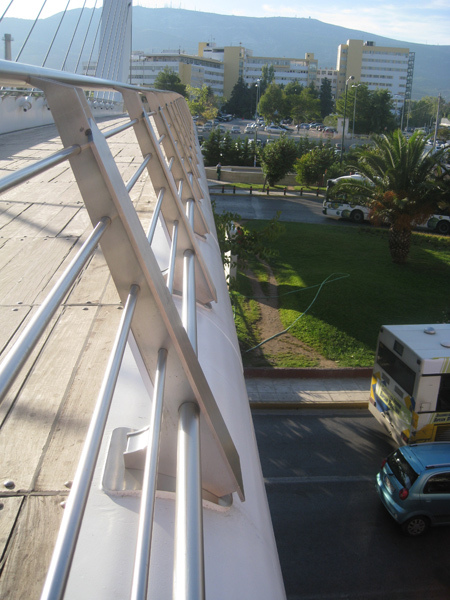 Stainless steel balustrades at the famous Calatrava Bridge outside the Katehaki metro station. 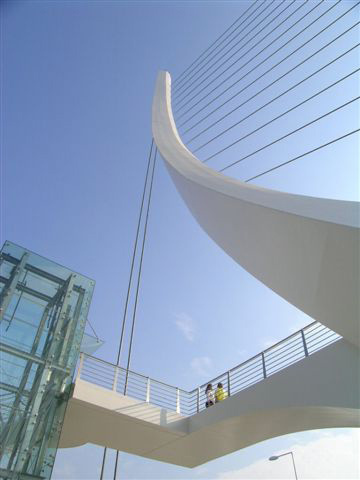 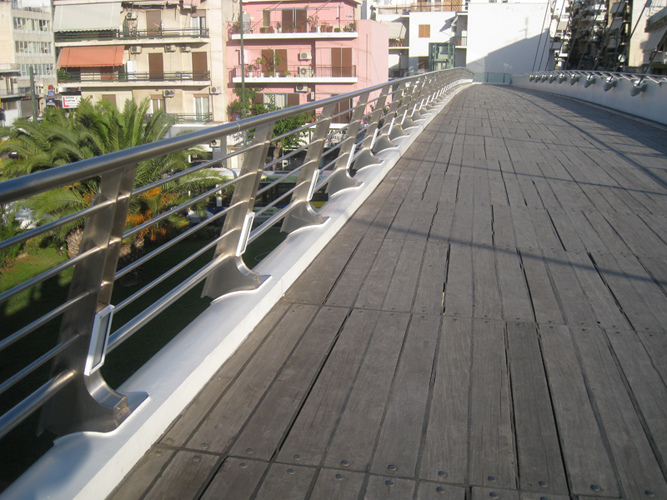 The balustrades of the famous bridge Calatrava in Katehaki road were manufactured by Ieronimakis Inox S.A. We used posts by plates cut by our laser machine with combination of curve shapes. 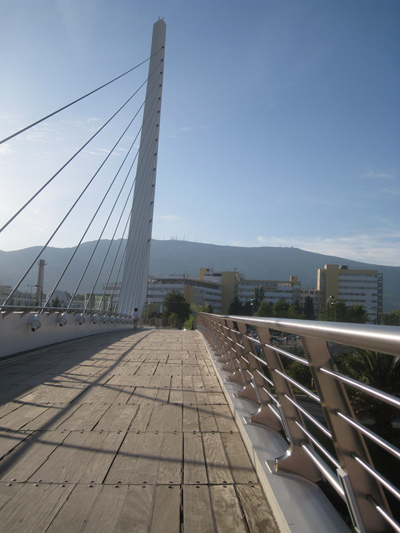 The project was successfully finished before the Olympic Games 2004.